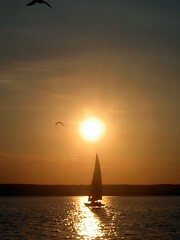 Ammersee (Ammer Lake) is the third biggest lake in Bavaria after Chiemsee and Starnbergersee. Like other lakes in Bavaria, it was created by melting glaciers during the end of the Ice Age. 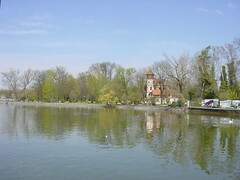 It is fed by the river Ammer which runs out of the lake as the river Amper. 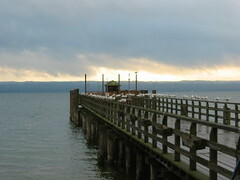 Along with its neighbour, Starnbergersee, it is a popular place for sailing and other water sports. It is possible to rent sailing boats on the lake, however with certain operators it is necessary to have a license to do so. 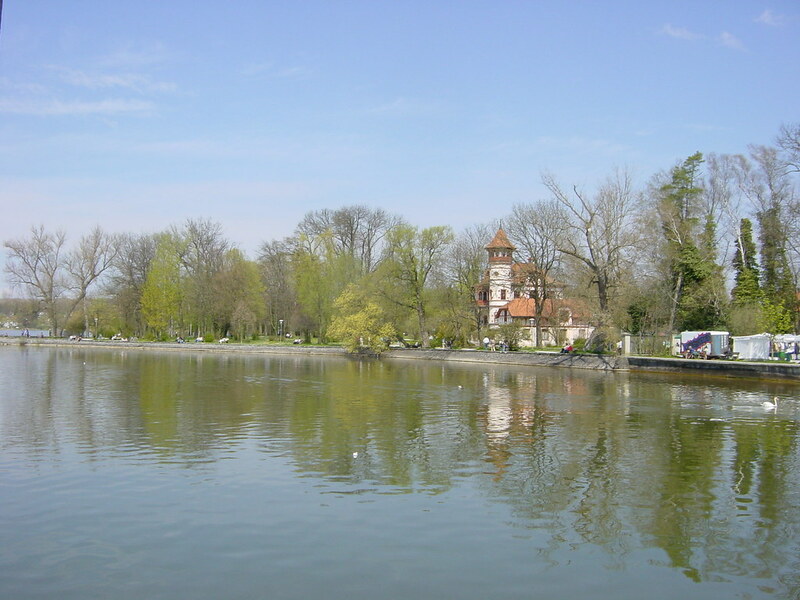 Otherwise it is possible to take a traditional paddle steamer across the lake. There are various trips to do, costing between 10€ and 15€, with discounts if you have a day travel card for the Munich public transport system. During winter, the edges of the lake can freeze, however due to its size and depth the lake almost never freezes completely. There are many Beer Gardens along the banks of the river, which can be quite full if the weather is nice. In addition, there are a number of traditional Bavarian churches around the lakes edge. Ammersee is about 35 kilometers from Munich and can easily be reached in about 25 minutes with a car, or slightly longer with the S-Bahn to Herrsching. Combined with a trip to Ammersee, a side trip to Andechs, a Bavarian monestary, is well woth while. From the S-Bahn station at Herrsching, both Andechs and Ammersee are within walking distance. Andechs however can be a strenuous journey, as the trip is mostly uphill. To avoid this it is however possible to take a bus from outside the train station at Herrsching. Be the first to write a review about the Ammersee! See below for more information. Have you already visited the Ammersee? If so, let everyone know what you thought about it by writing a review! No registration necessary. Just click here to start writing!